Variety of terrain with many side trails to explore. This is a very popular area for both licensed and unlicensed vehicles. 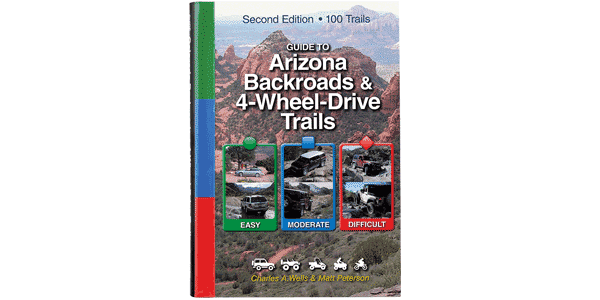 You’ll find a variety of terrain with many side trails to explore in addition to a massive staging area with plenty of flat space for motor homes and large camping units. Route shown here follows a wide wash, interrupted by various size rock obstacles. Don’t miss the side trip to interesting Rovey’s Needle. We drove our near stock 4-dr. Rubicon and selected moderate lines and bypasses. We saw spots to challenge hard-core vehicles. Stock SUVs with high ground clearance can make it through with experienced driver.